There’s nothing quite as comforting as the colors and flavors of fall, especially when it comes down to the season’s scrumptious desserts and drinks. Two crucial ingredients can easily sum up the sweet flavors of the autumn season: pumpkin and apple. The potential flavor possibilities with these two fruits are endless. Yes, pumpkin is a fruit! 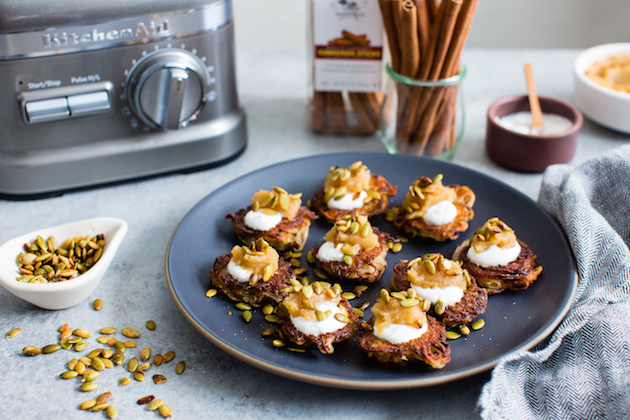 There’s nothing quite as festive, though, as pairing pumpkin and apple with warm and comforting spices. 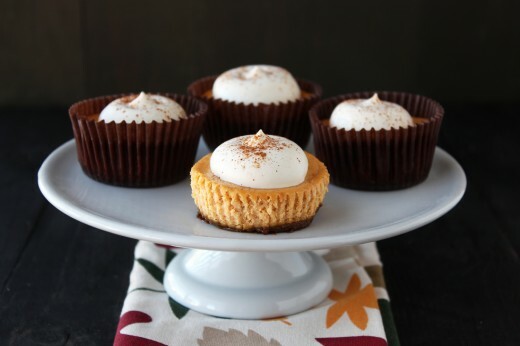 Pumpkin Cheesecake Cupcakes are quicker and easier to make, transport, and eat than a traditional full size cheesecake. Plus they’re super adorable and would be perfect for any festive family occasion. Spiced Apple Sangria, on the other hand, is a more elegant adult treat that will spice up any dinner party. 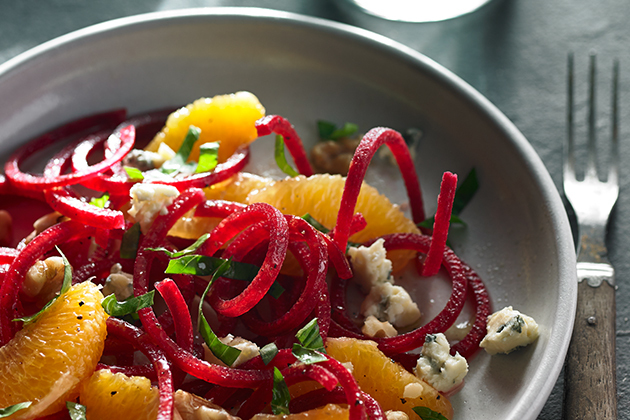 Both recipes are made ahead of time, making them perfect for entertaining. Let me show you how easy both these recipes are to make at home! Let’s start with the Pumpkin Cheesecake Cupcakes. In the bowl of a KitchenAid® Stand Mixer fitted with the flat beater attachment, combine the room temperature cream cheese and the granulated sugar. Beat on medium-high speed until well combined. Add in the pumpkin puree and vanilla and beat until combined. Add the eggs, one at a time, beating well after each addition. Next, beat in the sour cream and all the spices. That’s it! That’s all you have to do to make the batter. The KitchenAid® Stand Mixer does all the work, making the cheesecakes ultra creamy. Next we need to turn this batter into cupcakes. Grab two muffin tins and line 17 of the muffin cups with paper liners. Place an entire prepared gingersnap cookie in the bottom of each cup. Use a large spring-loaded scoop or a spoon to fill the cups almost completely with the batter. Bake at a nice gentle and low temperature of 300°F for about 22 minutes, or until the filling is set but ever so slightly jiggly in the center. Be careful not to overbake. Cool to room temperature then chill in the refrigerator for at least 4 hours, or overnight. 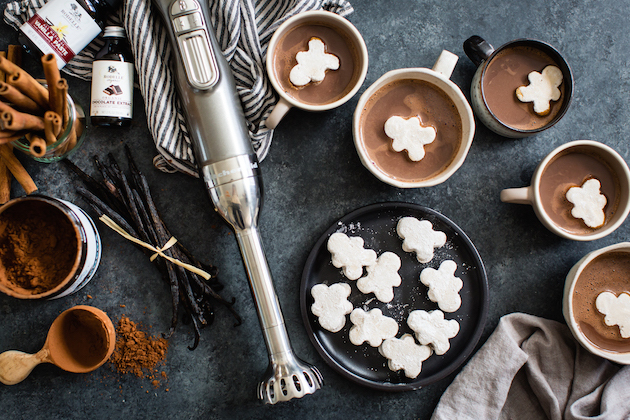 Make the whipped cream in the KitchenAid® Stand Mixer right before serving and garnish with a sprinkling of cinnamon. Moving along to the sangria, start by placing the apple cider (make sure to get the real opaque stuff), maple syrup, cinnamon sticks, cloves, allspice, nutmeg, orange zest, and orange wedges in a medium saucepan. Bring the mixture to a simmer over medium-high heat for 1 minute. Remove from heat and strain into a large pitcher. Add the brandy and orange juice to the cider mixture. Add the entire bottle of Pinot Grigio. Use a KitchenAid® Hand Blender on the lowest speed setting to blend together all the ingredients until thoroughly combined. Add in the apple cubes and refrigerate until chilled, at least 2 hours or overnight, before serving. Preheat the oven to 300°F. Line standard muffin tins with 17 paper liners. Place 1 whole gingersnap cookie in the bottom of each liner. In the bowl of a KitchenAid® Stand Mixer fitted with the flat beater attachment, beat the cream cheese until smooth. Add the sugar and beat until well combined. Add in the pumpkin puree and vanilla and beat until combined. Add the eggs, one at a time, beating well after each addition. Beat in the sour cream, cinnamon, nutmeg, ginger, cloves, and salt. Divide the batter evenly among the paper lined cups, filling each almost to the top. Bake for about 22 minutes, or until the filling is set but still slightly jiggly in the center. Place the muffin tins on wire racks to cool completely. Chill in the refrigerator for at least 4 hours, or overnight. Before serving, making the whipped cream. 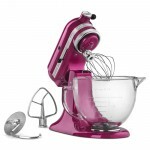 In the bowl of a KitchenAid® Stand Mixer fitted with the whisk attachment, beat the cream on high speed until frothy. Add in the sugar and vanilla and continue beating until medium peaks form. Dollop over each cupcake using a spoon or a small piping bag fitted with a medium plain tip. Dust with cinnamon. Serve. In a medium saucepan, combine all the cider ingredients. Bring to a simmer over medium-high heat for 1 minute. Remove from heat and strain into a large pitcher. Add the Pinot Grigio, orange juice, and brandy. 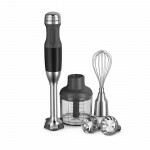 Using a KitchenAid® Hand Blender on low speed, blend the ingredients until well combined. Add the apple cubes. Refrigerate until chilled, at least 2 hours or overnight.